The trial enrolled 1225 advanced non-small-cell lung cancer patients who have no more treatment options, but this study used an early analysis of the first 850 patients from the trial. Half of the group were given a tezolizumab and the other half were given docetaxel chemotherapy, which is the standard treatment for advanced non-small-cell lung cancer. Patients given atezolizumab – a drug that blocks the programmed death ligand 1 (PD-L1) protein – survived for an average of 13.8 months, compared with 9.6 months for those on chemotherapy. As well as the benefits in survival, atezolizumab also had fewer side effects than chemotherapy with 14.8% (90 o609) of those given the drug having grade three or four side effects compared with 42.7% (247 of 578) of those given chemotherapy. However, 46 (of 609, 7.6%) of the patients given atezolizumab still gave up treatment due to side effects, as well as 108 (of 578 patients, 18.7%) of those on chemotherapy. In the trial the researchers also studied the amount of PD-L1 protein on the patients’ cancer and immune cells and how long patients survived for on each treatment. They found that the drug worked best for patients with the highest levels of the PD-L1 protein on their cells – more than doubling survival compared with those given chemotherapy (20.5 months compared with 8.9 months overall survival) – but still increased survival for those with little to no levels of the protein by three and a half months (12.6 compared with 8.9 months overall survival). “This is the first phase 3 trial of a PD-L1-directed immunotherapy in lung cancer. 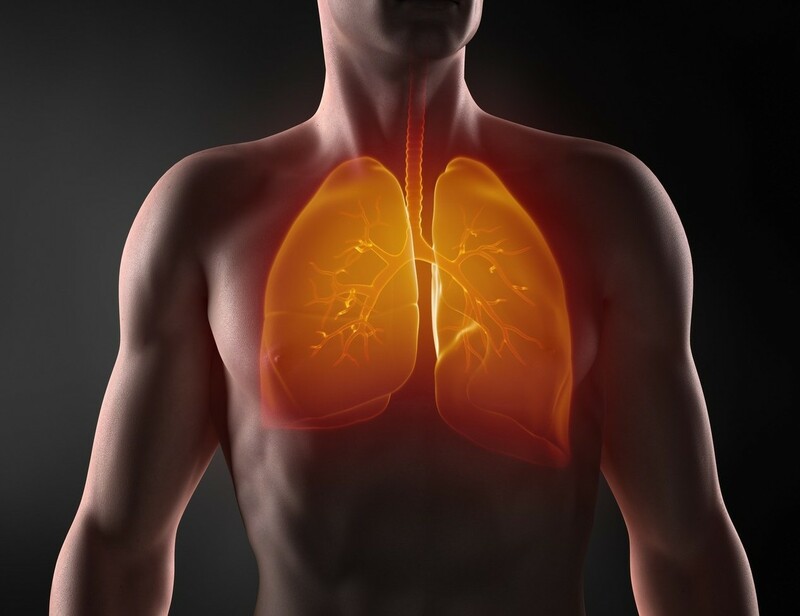 The fact that it improves survival in patients with all categories of PD-L1 expression is highly encouraging and adds to the already known benefits of immunotherapy in lung cancer.” said Dr David Gandara, senior author, UC Davis Comprehensive Cancer Center, USA. Other immunotherapies for non-small-cell lung cancer, such as nivolumab and pembrolizumab, are designed to block PD-L1’s counterpart, the programmed cell death protein 1 (PD-1) which is located on the immune cell surface. Normally the PD-L1 and PD-1 proteins signal to one another to activate the immune system to attack tumours. It’s thought that the extra PD-L1 protein on some cancer cells’ surfaces helps them hide from the immune system, meaning it cannot find and kill cancer cells as usual. But by blocking the extra PD-L1 protein, atezolizumab may unveil the cells to the immune system so they can be attacked and destroyed. The study is the first phase 3 trial of a PD-L1 inhibitor drug and has shown longer survival than trials of PD-1 inhibitors. The authors note that the trial was ‘open label’, meaning that patients and doctors knew whether or not they were being given immunotherapy. In addition, after the study treatment finished some (17%) of those given chemotherapy on the trial were prescribed another immunotherapy drug (mostly nivolumab) by their own doctor. This could have increased survival in the chemotherapy group, meaning that the difference between two groups may be greater than shown in this study.